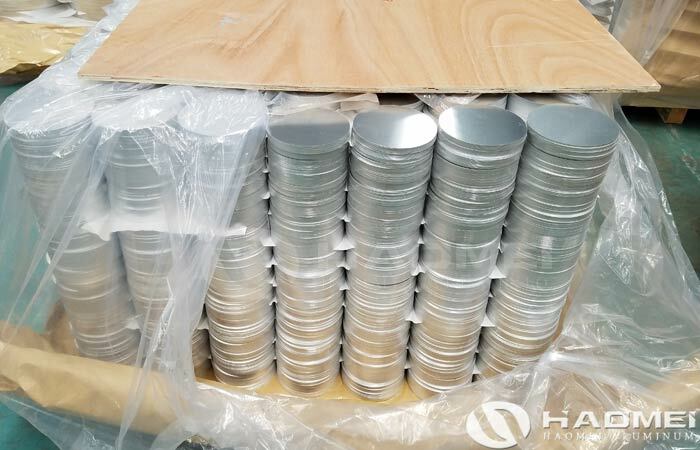 High quality 1070 aluminum discs for traffic signs are widely used in roads, bridges, highways, high-end villas, private houses, parks, factories, etc. 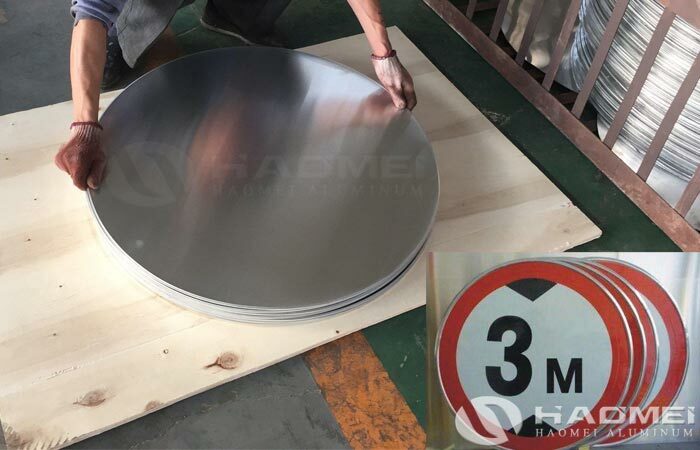 The road traffic sign is a graphical symbol showing traffic regulations and road information, it can make the traffic regulations get an image, concrete and concise expression. 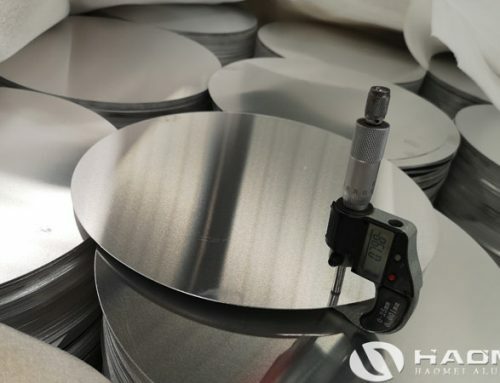 At the same time, it also expresses the content that is difficult to describe in words, to manage traffic and indicate the driving direction to ensure smooth roads and safe driving facilities. 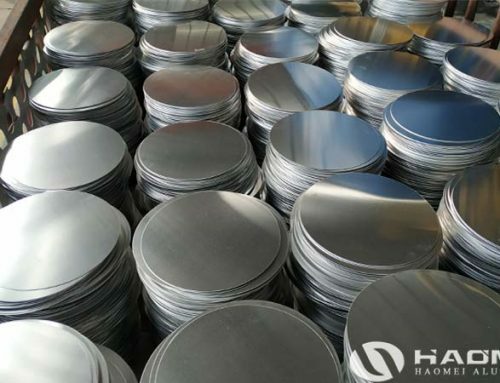 Made of pure aluminum discs like 1050, 1060 and 1070 or aluminum discs alloy 3003, 5052 and high quality reflective film, the traffic signs can effectively reflect light, will not yellow, fade, will not crack off the patent leather, will not cause intermittent bubbles to cause rust and other issues. 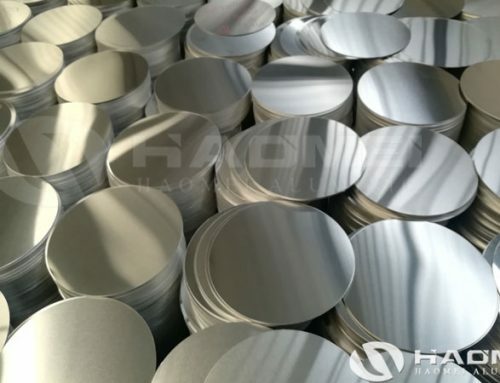 At the same time, aluminum discs for traffic signs are applicable to roads, urban roads and all special roads, with the nature of laws and regulations, vehicles and pedestrians must abide by. 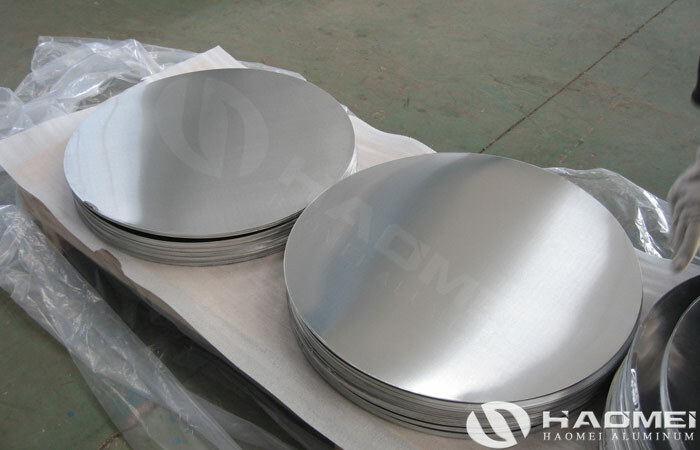 Aluminum discs circles is light in weight, not easy to rust, easy to shape and so on. 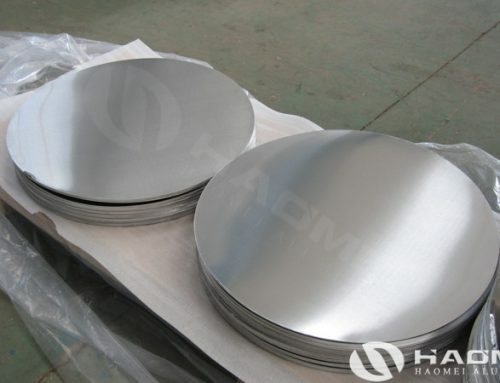 Generally, the thickness of traffic sign aluminum discs are 1.0 mm, 1.2 mm, 1.5 mm, 2.0 mm, 2.5 mm and 3.0 mm. 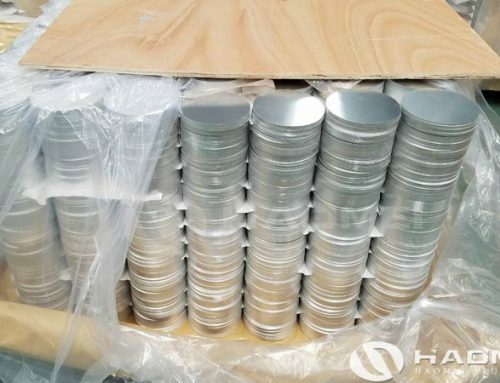 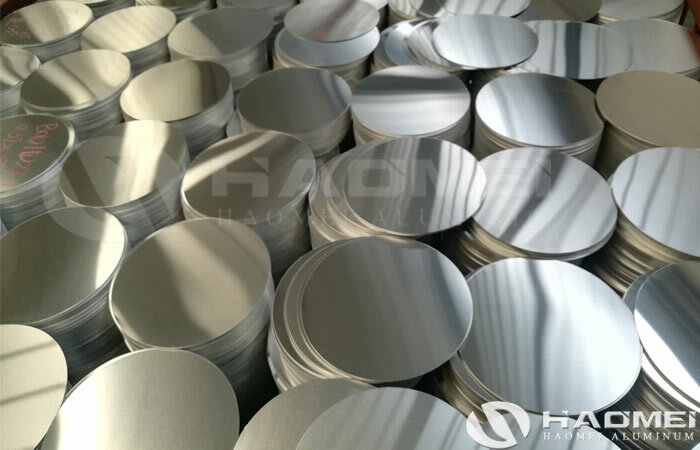 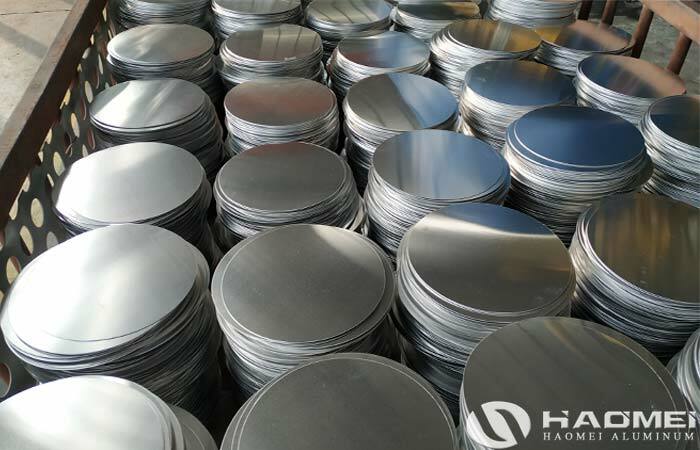 Haomei is a famous 1070 aluminum discs for traffic signs supplier in China, we can supply fast production with high efficiency production line and safe delivery to your country. 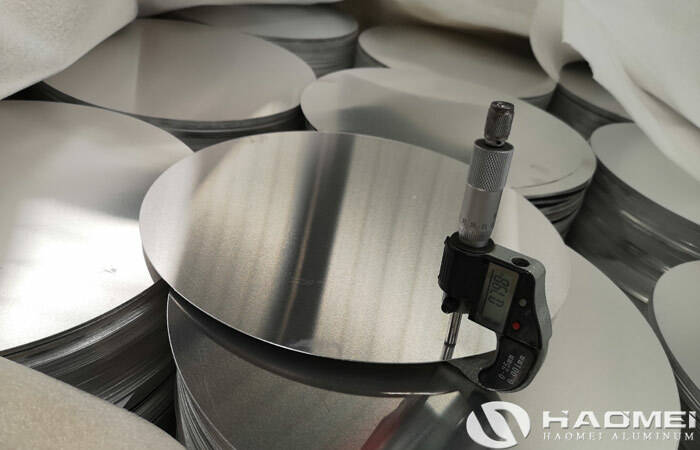 Besides of applied in process traffic signs, we also supply high quality aluminum circle discs for cookware, rice cooker pressures and lamps.